04 Mart 2019 Pazartesi 02:01 - 2 reads. The United States will use their diplomatic mission to the Palestinians from Monday to limit. The consulate, which serves as the diplomatic representation for the Palestinians, is included in the American embassy in Israel, who recently moved to Jerusalem. In september the Us government announced plans for all the Palestinian diplomatic mission in Washington shut down would be because the Palestinians refuse, with Trump administration, to talk, and they do not want to participate in peace talks with Israel. Also announced Washington the end of the bilateral financial support, and the contributions to UNRWA, the UN agency for Palestinian refugees. 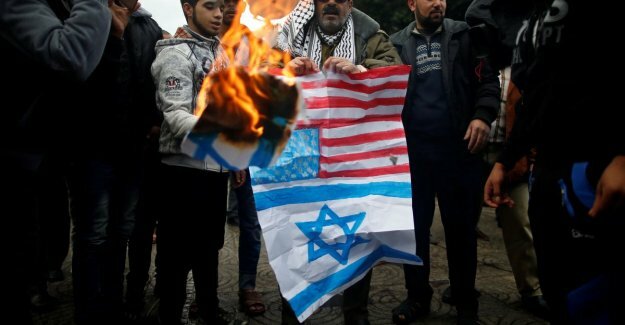 The diplomatic ties between the U.S. and the Palestinian authority have been frozen since Trump Jerusalem at the end of 2017-declared capital of Israel and decided to the American embassy to relocate. The status of Jerusalem is controversial. Both the Israelis and Palestinians make claim to the historic city. Israel claims Jerusalem as its "eternal and indivisible capital", including the Arab eastern part of the city, which in 1967 during the six day War was conquered. The Palestinians want East Jerusalem as the capital of an independent Palestinian state. This is why most embassies are located in Tel Aviv.